Earth is warming, causing a change in our global climate and agriculture is at high risk. Today, the average global temperature is higher than it has been for the past 10,000 years and perhaps longer. During our planet’s 4.5-billion-year history, Earth has been warmer, and it has been colder. But this time is different. Why? First, warming is occurring much more rapidly than in the past. Second, people—not natural causes—are the major drivers of change. 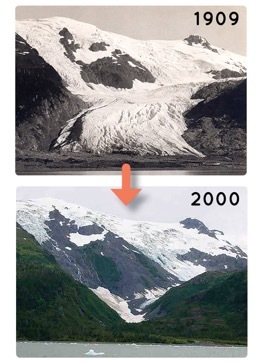 Glaciers like this one in Alaska are melting worldwide. That’s one of the many observations that provide scientists with evidence that the climate has already started to change. Over the last century, our activities—including agriculture—have added carbon dioxide and other greenhouse gases to the atmosphere. These heat-trapping gases have built up faster than they can escape into outer space. Our climate has warmed and continues to do so. Agriculture is already suffering the effects of increasing heat, droughts, floods, and pests. And that puts food security at risk. For agronomists, “the heat is on.” Agriculture has to be climate smart. That means adapting to a changing climate—changing how we raise our crops and livestock and treat our land. That’s key to both reducing the effects of climate change on agriculture and the effects of agriculture on climate. The Heat is On … Here Come the Agronomists! Hardy and Adaptable Teff = more options for grains: Teff, a widely grown grain in Ethiopia, is very adaptable. It will grow in poor soils and in drought and water-soaked ones. And, it’s less prone to diseases and pests than other grains like corn and wheat. 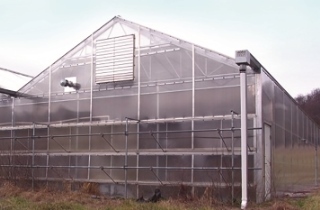 Get Nitrogen Just Right = Lower N2O: Crops need nitrogen to grow and produce protein, but when nitrogen in soil is not absorbed by crop roots, it can form N2O, a powerful greenhouse gas. By supplying the right amount of nitrogen in the right form, at just the right time and place, less N2O is produced. Agronomists are using science to learn how to get nitrogen just right. Pushing Pulses to the Limit = More options for Breeding: Beans are a protein-rich part of many diets. But heat stress may be the biggest threat to growing them. Crop scientists, with agronomists, are looking at the genetic diversity to breed new varieties that are more heat-tolerant and climate-adapted. Designing Low-Methane Rice = Lower CH4: Rice is the staple crop for the majority of the world’s population. But growing it is also one of the world’s largest sources of methane. Most rice is cultivated in flooded fields, or paddies, an ideal home for methane-producing bacteria. By adding a barley gene to a rice variety, a low-methane variety of rice has been developed. Good Shade = More Healthy Livestock and More $: As temperatures rise, livestock will be under greater stress. Silvopastures combine trees with livestock. The trees are grown for lumber, while providing shade for the animals and the forage they eat. Do Not Disturb … the Soil = Lower CO2: Digging up fields as little as possible helps keep carbon dioxide in the soil. Why? Tilling disturbs the microbes that live in the soil, causing them to decompose, resulting in the emission of CO2 into the atmosphere. Bonus! Less plowing means using less fossil fuels and saves water. Deep-Rooted Switchgrass = More Efficient Use of Water: Switchgrass is a rising candidate for producing ethanol, a renewable fuel. Unlike most crops grown for biofuels today, switchgrass is a perennial plant. Because they don’t have to be planted year after year, they stay in the groups developing deep roots. Switchgrass is also tolerant to drought. A Comeback for Wetlands = Lower CO2: Millions of acres of wetlands have been drained for agriculture and construction uses. Agronomists and soil scientists are now advising growers to restore or construct wetlands alongside their fields. Why? Wetlands pull carbon dioxide out of the atmosphere and store it long-term in the wetlands soggy soil. French-Fried Crickets = More Nutrition! You may say yuck! but like shrimp and crab, insects are very nutritious. Plus, they can be more adaptable than cows and chickens. Burp-Less Cows = Lower CH4: A team of agronomists at Penn State University is helping cows belch less. Why? That will reduce methane, a greenhouse gas. By adding a supplement to the cow’s feed, the team reduced emissions by 30%. Climate Change: Can We Blame Nature?